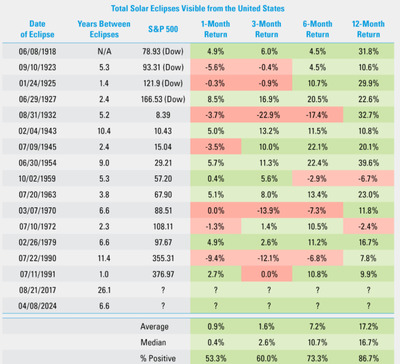 A total solar eclipse may represent a blockage of sunlight, but the stock market has historically caught fire after past occurrences. 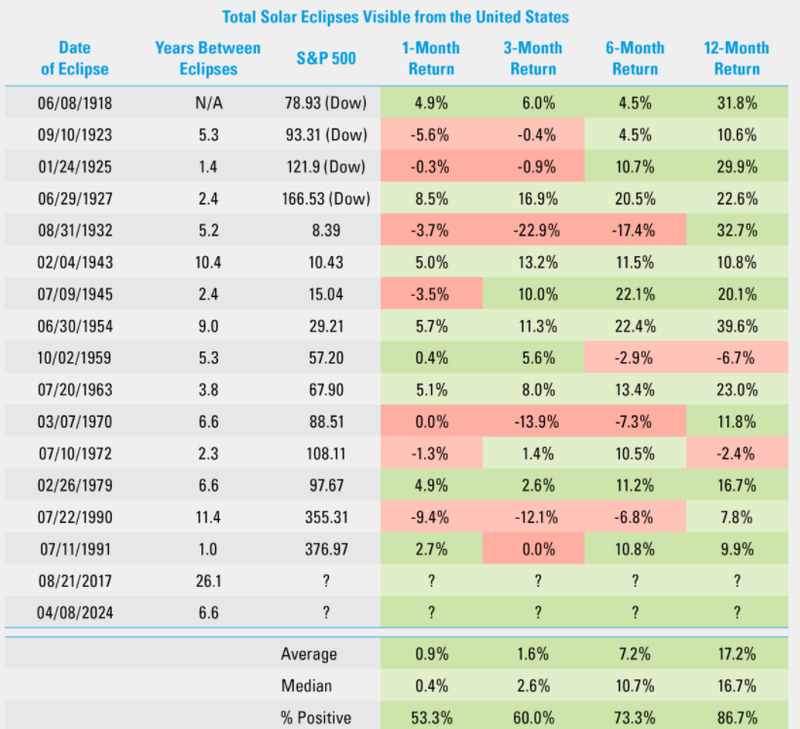 US equity prices have climbed an average of 17.2% in the year following total solar eclipses visible from the US, according to data compiled by LPL Financial. The last time came in July 1991, after which stocks rose 9.9%. Of course, this research must be taken with a grain of salt. There are so many other drivers of equity performance that any correspondence with the solar calendar should be viewed as coincidental byproduct. The S&P 500 is currently about 8 1/2 years into its ongoing bull market, which makes it already the second-longest on record. It’s continuation will hinge on whether corporations can keep growing earnings, and if economic conditions can remain robust.